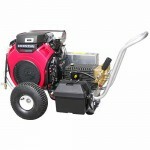 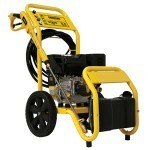 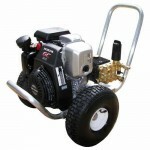 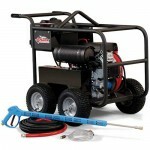 Certainly, the best advantage of a gas cold water pressure washer is its mobility. 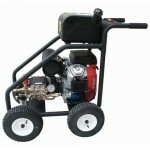 The gasoline engine does not require a power source nearby and is therefore not restricted by the length of a power cord. 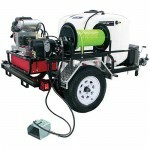 Other positive aspects are increased power and greater durability in contrast to electric cleaners. 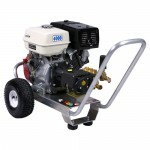 The downsides: those units are heavier, louder and more expensive to buy and maintain due to higher purchase cost and the constant need of fuel to run. 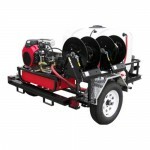 This machine is designed for outdoor cleaning. 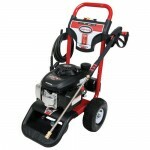 They are perfect for all applications that require higher power and portability - these include, but are not limited to, kitchen hoods cleaning, concrete cleaning and off-site use.